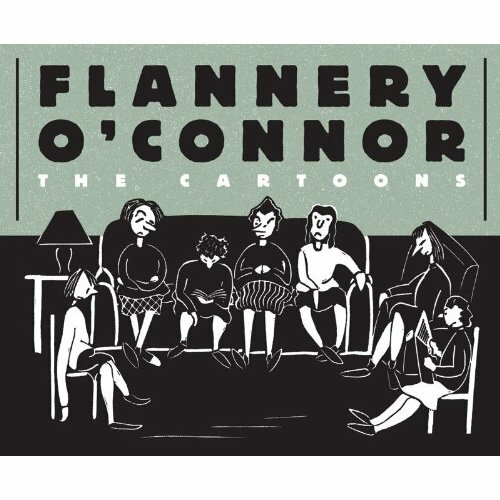 Who knew Flannery O’Connor was a cartoonist? Well, I certainly didn’t. I’m quite interested in the collection Fantagraphics is putting out later this year though. Via the Onion A/V Club. Jonathan Gottschall on why us literary scholars need to be more like scientists. I’m interested in thoughts on this. One of us is doing a horrible misreading. Is an adoption of scientific positivism honestly what we should be going for? Given the kinds of debates that revolve around science in this nation you’d think it be easier to see the sorts of problems that revolve around the increasing volatile debate on everything from global warming to evolution. Science does not automatically equate into the betterment of mankind without the sorts of interpretations that we actually do for a living taking place as a middleman. A positive point of view isn’t fixing the environment and it isn’t doing enough to slow us down from continuing to screw it up. I figure that I’m on the same side of the debate as Gottschall in regards to science too. What I’m pointing at has more to do with how naive it is to assume that doing statistics and psychology automatically makes us mighty. Not that we shouldn’t use them. We just shouldn’t act like it’s the end all be all. Gottschall declares that the profession is willfully blind to the inadequacies of theory. It feels as though he is blind to the inadequacies of science and the profession. Not to mention history, which is itself lacking in the scientific department but makes up a big portion of what we do. Studying this stuff alone requires that we take into account those inadequacies. Hell, I thought that’s what post-structuralism was about. Rather than making broad unsupportable claims we account for the multiplicity of possible readings. In short, we declare the inability or our theories to account for life the universe and everything. Besides, I don’t see the problem. There’s bad criticism out there and there’s criticism that’s doing the same sorts of things that Gottschall is talking about. Not limited to a number of projects I’ve seen happening at our very own U of O. Wait. I just wasted fifteen minutes on this. There’s the problem.